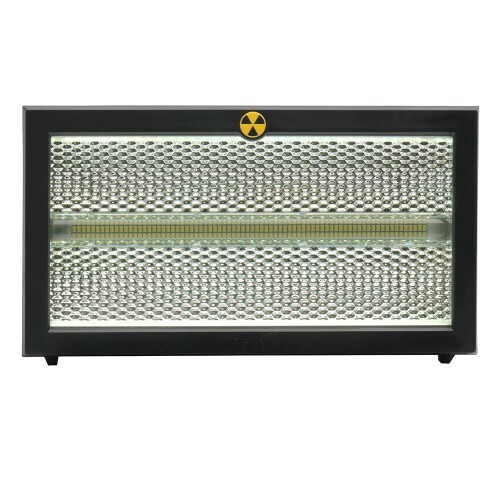 The Atomic 3000 LED is the perfect blend of a traditional strobe and cutting-edge LED technology. Capitalizing on the original Atomic 3000 DMX's 15 years of success, this new version features identical functionality and behavior - with the added benefits of LED technology. It offers the same extreme brightness as its iconic predecessor, but with substantially lower peak power consumption. The Atomic 3000 LED is not only a strobe, but also a creative tool that incorporates backlight illumination with RGB-controlled LEDs pointing into the reflector. It delivers stunning eye candy looks similar to the MAC Aura and the MAC Quantum Wash.